A 4-part video driven Bible study on the life of Joseph and the certain choices he made in his life. 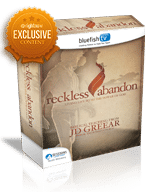 For a man with so much hope for the future, Joseph spent a good part of his life rejected, abandoned, and imprisoned. How did he endure the abuse, betrayal, disappointment and injustice so prevalent in his life? This four-part video based Bible study takes a look at how the choices Joseph made helped him overcome every obstacle life threw at him. An amazing video based curriculum for your small group Bible study. Born into a life of privilege, Joseph was his father’s favorite son, and he dreamed of power and glory. This dramatic video illustration shows how Joseph's road to success was wide and open until one day, on a routine errand,his life drastically changed. This video illustration is very similar to the Joseph - Abandoned illustration. It differs in that there is an explanation and teaching with Rob Duford. Born into a life of privilege, Joseph was his father’s favorite son, and he dreamed of power and glory. This dramatic video illustration shows how Joseph's road to success was wide and open until one day, on a routine errand, his life drastically changed. Difficult times do not equal failure. The hardships Joseph endured prepared and strengthened him. This dramatic video illustration reveals that once Joseph had matured into the right man for the job, God presented the opportunity for his leadership. This video illustration is very similar to the Joseph - Promoted illustration. It differs in that there is an explanation and teaching with Rob Duford. Difficult times do not equal failure. The hardships Joseph endured prepared and strengthened him. This dramatic video illustration reveals that once Joseph had matured into the right man for the job, God presented the opportunity for his leadership. This clever contemporary sermon illustration parallels how Joseph was stuck in a hopeless situation. In a few short years he had fallen from a fortunate son to a forgotten prisoner in a foreign land. This video illustration is an example of how we can respond when our lives aren’t what we expected. This video illustration is very similar to the Joseph - Trapped illustration. It differs in that there is an explanation and teaching with Rob Duford. This clever contemporary sermon illustration parallels how Joseph was stuck in a hopeless situation. In a few short years he had fallen from a fortunate son to a forgotten prisoner in a foreign land. This video illustration is an example of how we can respond when our lives aren’t what we expected. Decisions we make under pressure reveal who we really are. When Potiphar’s wife tried to seduce him, Joseph had to make a split-second decision. This dramatic video illustration demonstrates that as usual, the right choice was not the easy one. This video illustration is very similar to the Joseph - Tested illustration. It differs in that there is an explanation and teaching with Rob Duford. Decisions we make under pressure reveal who we really are. When Potiphar’s wife tried to seduce him, Joseph had to make a split-second decision. This dramatic video illustration demonstrates that as usual, the right choice was not the easy one. 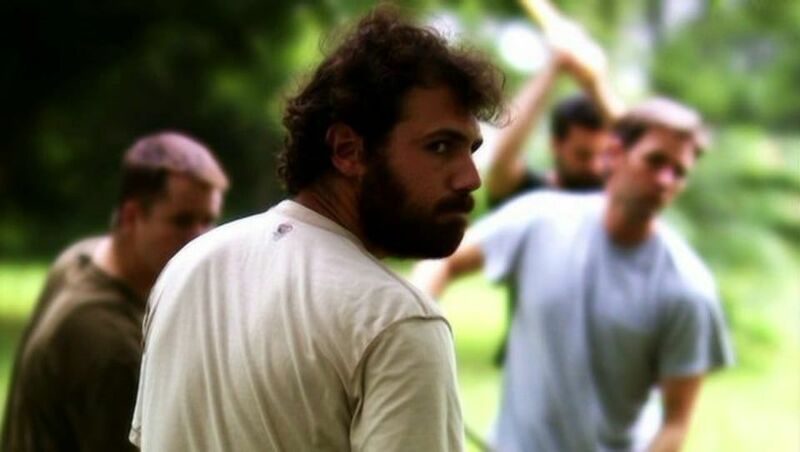 FILMED IN ROME - A 4-part video-driven Bible study for youth groups on culture and the life of the Apostle Paul. Rob Duford is the founding and Lead Pastor of Orlando North Community Church. 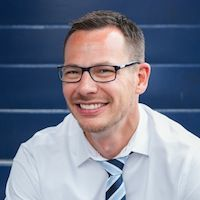 Previously, Rob served for a time as a youth pastor in Indiana, and for eight years as the Student Ministries Pastor at Calvary Assembly in Winter Park, Florida. Ultimately, these experiences led to Rob becoming the founding pastor of Orlando North Community Church in 2007. Rob graduated from Lee University in 1996 and got his M.B.A. with an emphasis in non-profit organizations from Regent University in 2001. He is the author of Seldom Familiar, which offers a fresh perspective on the incredible life God intends for his followers to live while exposing the typical, monotonous life most Christians find themselves surviving. Rob and his wife, Melanie, have two children. This dramatic, downloadable video illustration shows how Joseph's road to success was interrupted and his life drastically changed in one fateful day. 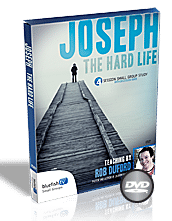 This dramatic, downloadable video illustration shows how Joseph's road to success was wide and open until one day, on a routine errand, his life drastically changed. Decisions we make under pressure reveal who we really are. This clever contemporary, downloadable sermon illustration parallels how Joseph was stuck in a hopeless situation.